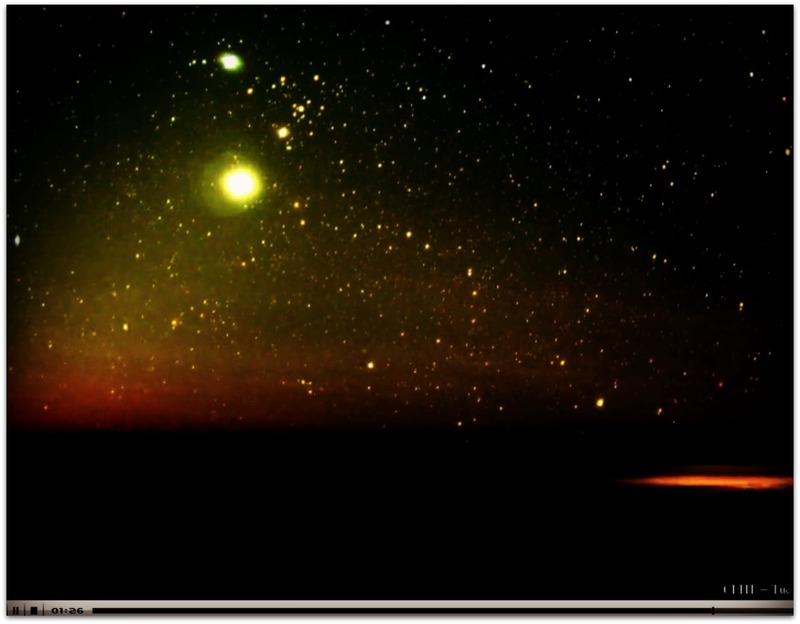 Or a gritty album of sky visuals from the Canada-France-Hawaii Telescope. 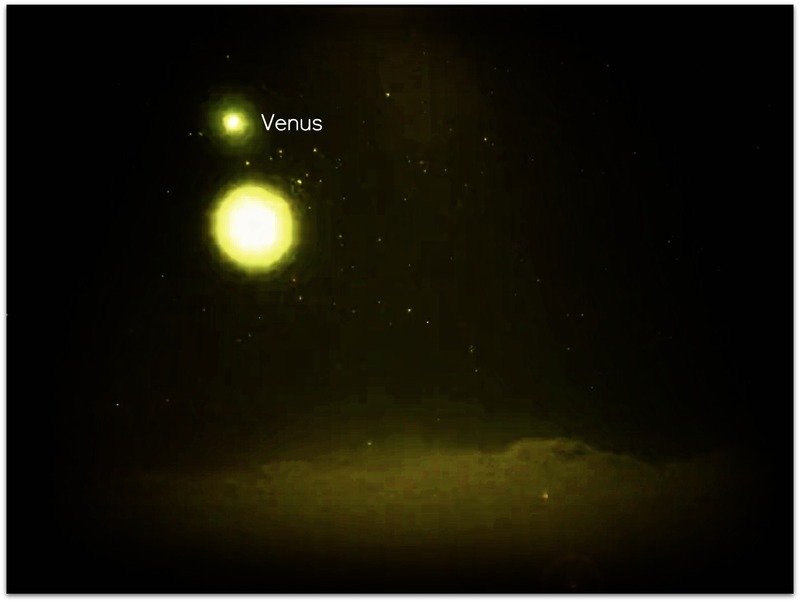 As a public service to Guinaronanhons in particular and the world in general, we have decided to monitor the evolution of the space between Venus and the Sun, where there lurks a mysterious grouping of bodies–a huge planet with several moons. 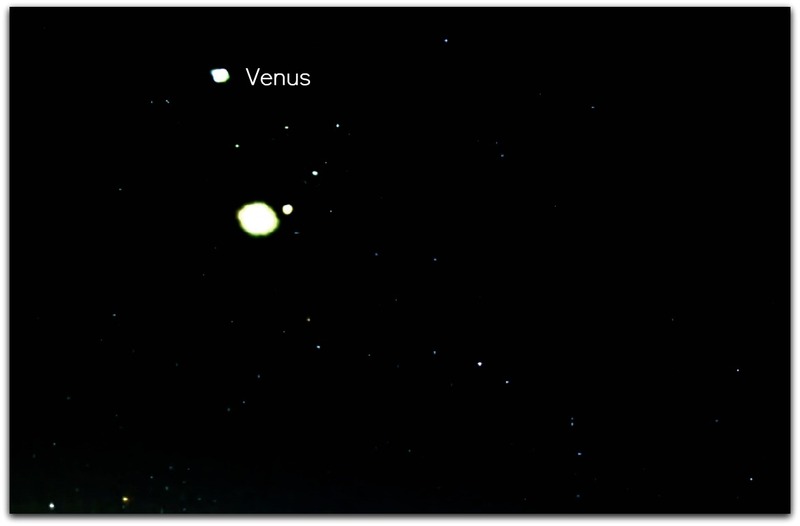 Note that because of this, Venus appears to be expanding as well. Therefore, it cannot be discounted that the gravitational and magnetic pull of these bodies are affecting Earth as well, in terms of weather extremes (hence, floods), earthquakes and the proliferation of sinkholes. This will be an ongoing thing, for as long as the CFH telescope is accessible. We would like everybody to pray that this goes away like a bad dream. 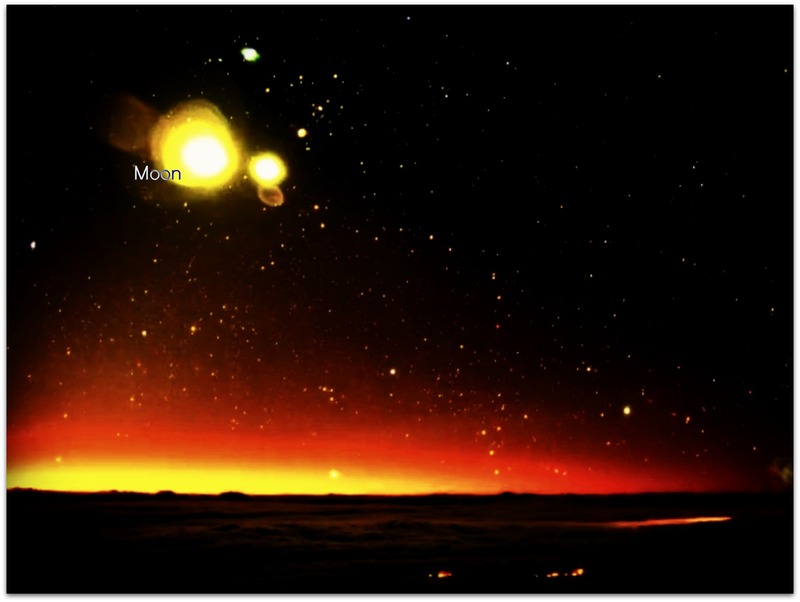 Venus and the X bodies as they appear on July 10, 2012 per the Canada-France-Hawaii telescope. 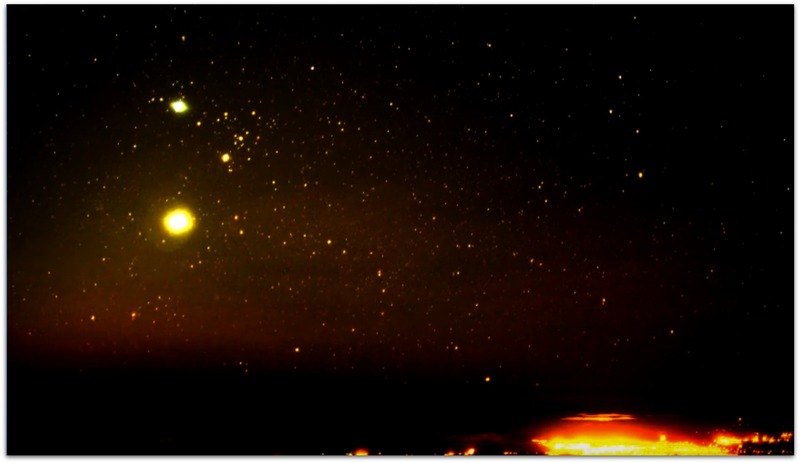 July 11, shot of Venus and the X bodies as per Canada-France-Hawaii telescope. 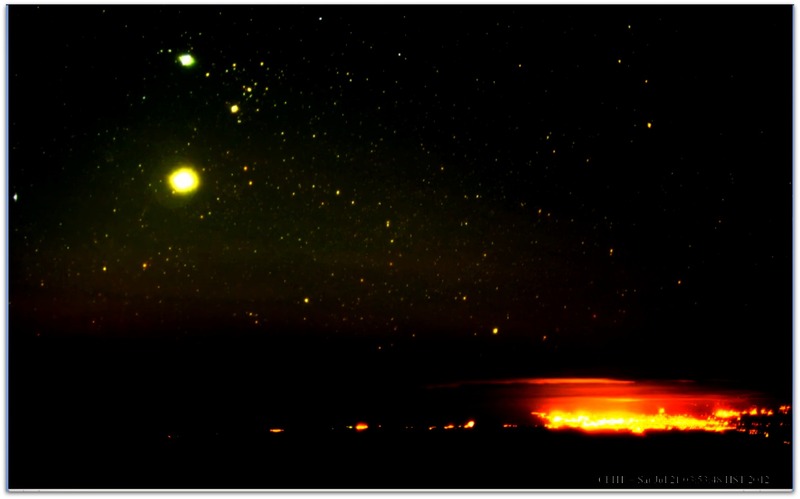 July 11, 2012 shot of Venus and the X bodies per the Canada-France-Hawaii telescope. It’s getting bigger! 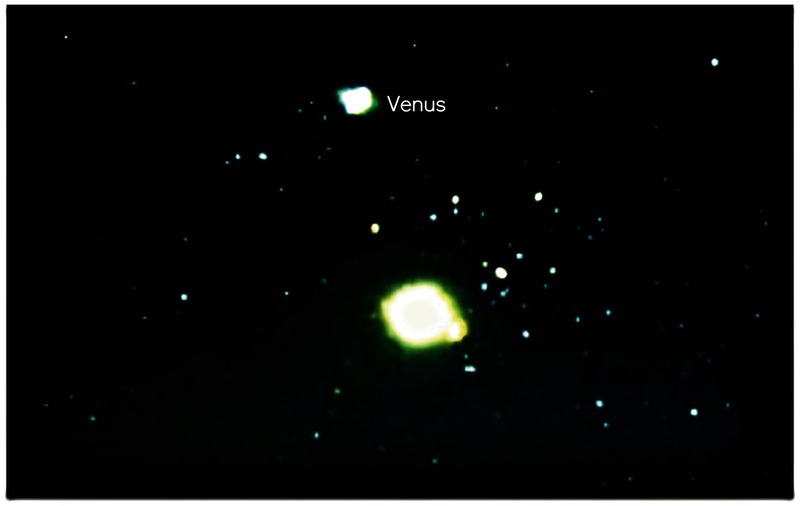 Venus and the X bodies below her, July 13, 2012. Canada-France-Hawaii telescope. 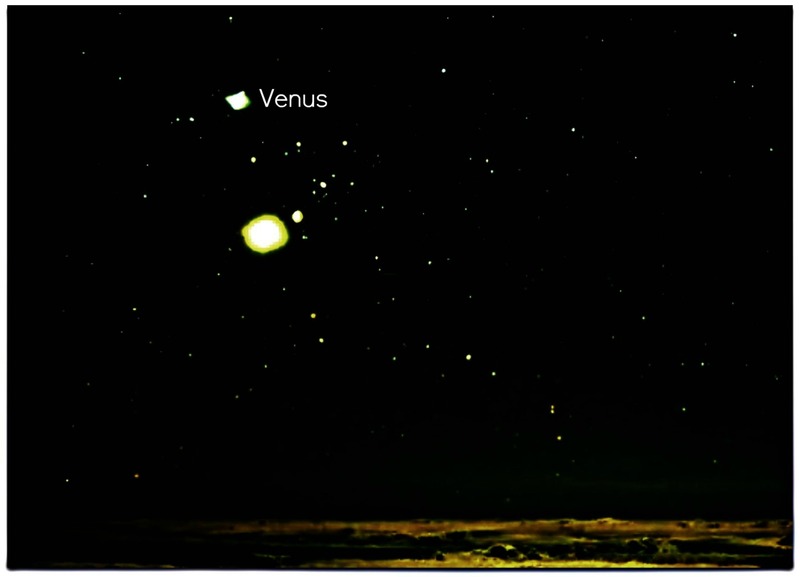 July 14, 2012 capture of the Moon, Venus and the X bodies as per DFH telescope. Shot of July 17, 2012, Canada-France-Hawaii telescope. 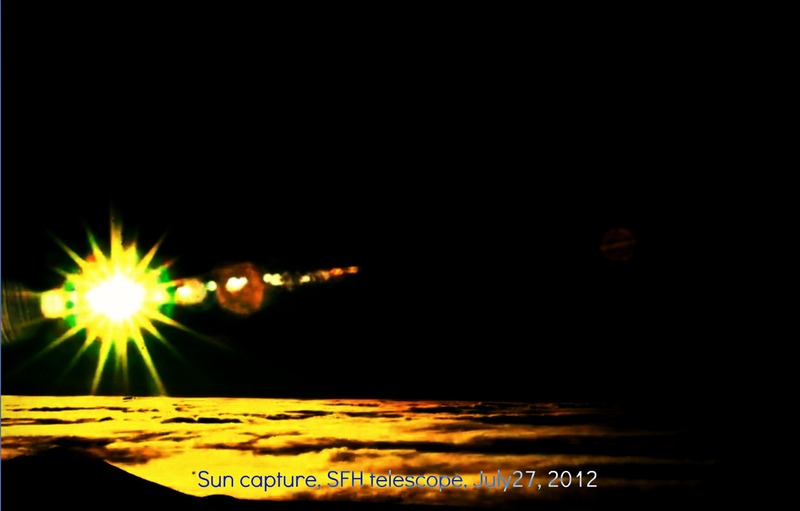 July 19, 2012 sky pic, CFH telescope. Sky pic of July 20, 2012, CFH telescope. 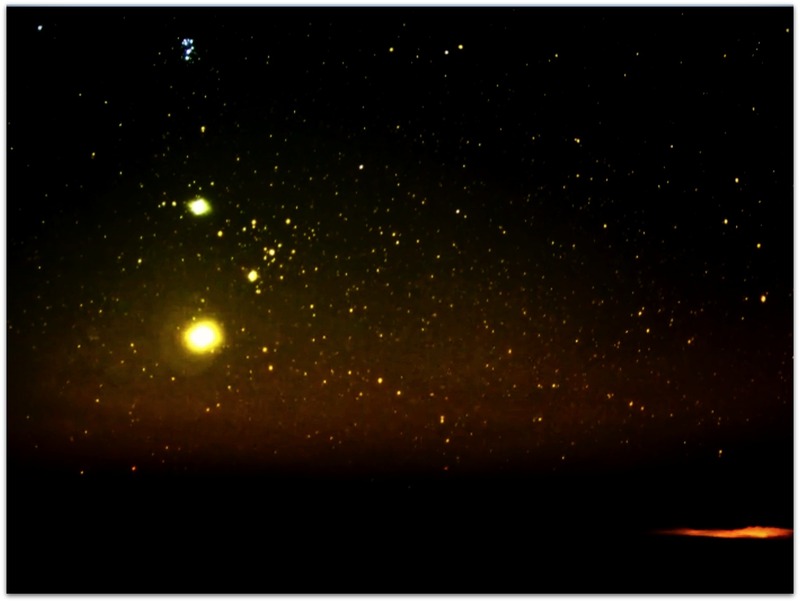 Sky pic, July 21, 2012, CFH telescope. hi, again me in regard of your discussion of france hawai telescope pics from july 15th with nancy. i think you sould have a look at this video with explanations in regard of the objects seen on the telescope. Thanks, Animatio. I agree with the video’s premises. However, the solid orb behind the moon is not a lens flare. well this video posted by khan shows exactly what i am registering on the northern hemisphere all day now for about good 2 days also – one or more dark shadows in front of the flare from the sun. almost no more moon swirls. 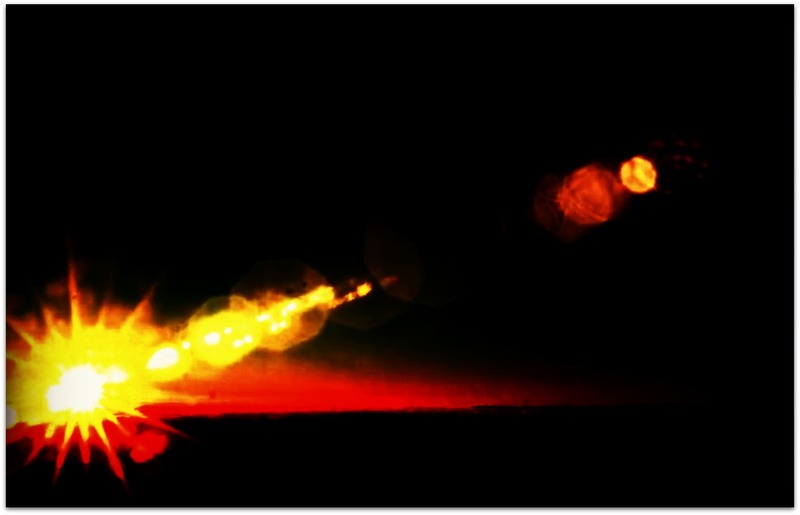 this would be conform with nancy’s suggestion to look out for “holes” than flares. this also would mean that the complex is now in front of the sun on its approach.and turn. Thanks, Animatio. I saw that too. 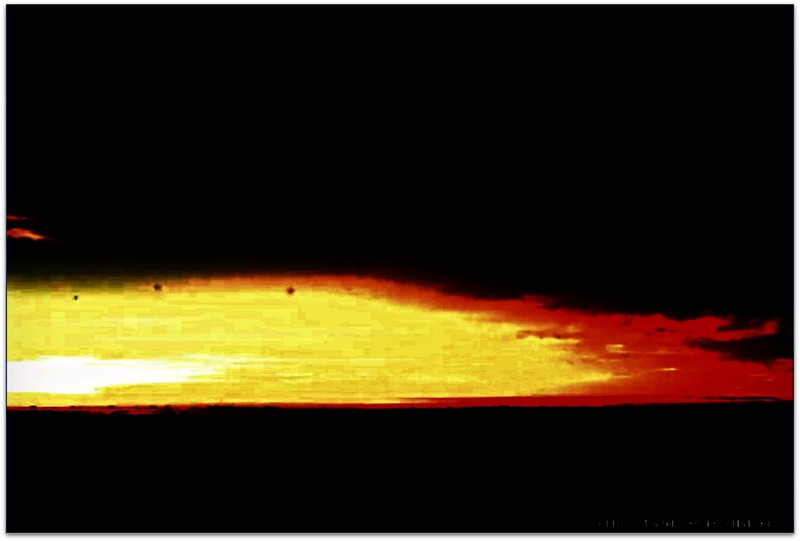 Then I took a picture of the sun on the same day, July 15, 2012, and enhanced it. Here it is. need more proof ? as nancy said … wake up and set your clock. be safe. btw the compass suggests south now is in a hard grip of the arriving one. Thanks, Animatio. I saw it. Please describe your latest experience re tracking the poles, “dance of the devil” etc., preferably with pics, and we would like to make it as a guest blog. Thanks. will take me some time as my notes originally were not meant to be published. 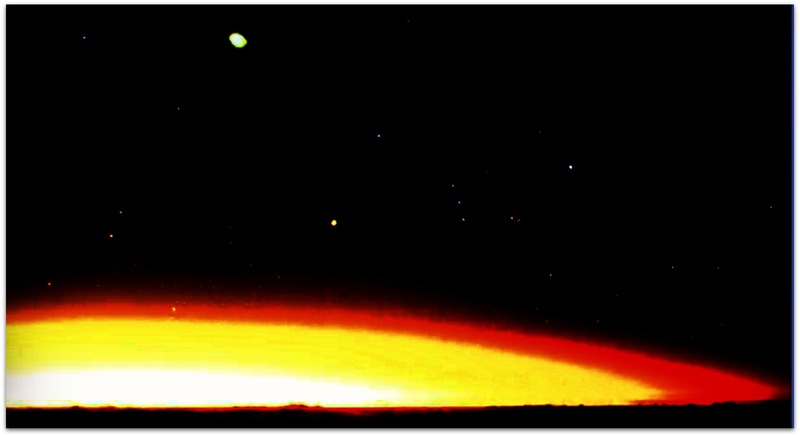 Often I and other astronomers who write showing that Nibiru cannot exist (http://astroblogger.blogspot.com.au/search?q=Nibiru) get emails accusing us of arrogance. Oh, wow. Thanks. My mails to you have returned. I wonder if you have another email address. By the way, the moon should be out. Is there a devil dance going on? Geez, thanks, Animatio, for the valuable info. My compass also shows extreme change of the North orientation. Double wobble? Geez. Thanks, Animatio. I also made use of the sunset pic, ref. “As Above, So Below (4)”. “devil dances” of the moon … just happend to catch one more by accident. report tomorrow. Oh, please! Have you seen the latest SOHO satellite pic? well, here the sequence of moon takes within about 3-5 minutes. look at the small clouds for positioning info and to measure the shifting taking place. during the day another phenomenon in regard of the relative positions of south magnetic and south by the sun appeared (as verified today): during the night s(sun) is shifting far to east of s(magnetic), both coming together around noon, the sun shifting ti est of magnetic – he both crossing each other), around sunset crossing back again to return during the night to the morning positioning. Thanks, Animatio. So Nancy was right in that the red thing was a lens flare. Except that with your extrusion, there are other bodies all around the sun. Hi, Animatio. 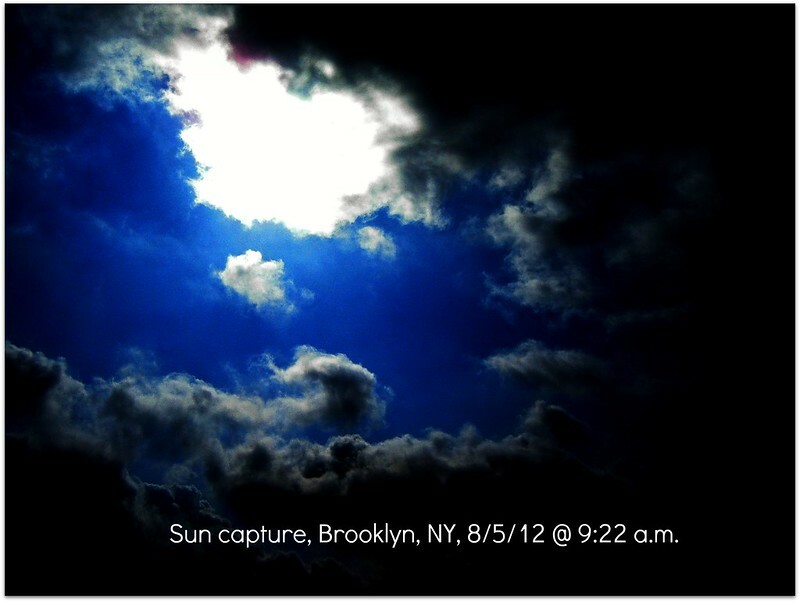 I took a picture of the sun today, 8/5/12, and could you please EXTRUDE it? sorry, takes like this one are virtually impossible to filter out. sunflares in cloudy skies during the day are to bright and can’t be broken down into different shades. and last not least it is in general very difficult to differentiate between cloud shades and other signals with filtering under these conditions. conclusion : no takes into cloudy skies during the day, the only ones because of the special light bending conditions of the atmosphere at these times are directly after sunrise or during the last half hour around sunset. btw a good, free application to do some filter tricks is faststone image viewer. Wow, very spectacular pics. Thanks. May I know which filter did you use? auras would be impossible to see. despite red filter. Beautiful. Still you could see some ghost orbs (?) around the sun. Thanks. I like the third pic. Amazing, despite the grrrr chemtrails. your wobble moon on ning and nancy’s question – the last days was to observe that at this time south defined by the sun and south by compas switched their relative orientation from s(sun) to the east and s(compass) to the west to the opposite for almost 3 to 4 hours into the night as observed at middle europe. so there might well be a wobble move to be seen. Thanks. I submitted the unedited pics, maybe they are studying them. The post is no longer there, though. Yes, with my bare eyes i could see the elongation/double moon effect, the captures were just to confirm the phenomenon. yep, was the same when i did catch such a moment by accident. and what also is to mention, these massive movements – shaking a whole planet after all – happen to take plce within seconds and minutes. so imagine the forces behind this. it really does not need millions of years – it is a spontaneos event. fearsome and impressive at the same time. “Another incident of magnetosphere compression and turbulence today. Animation between 13:25 and 17:45 UTC. magnetic grip on earth was tightened. you also might have noticed that the path of the moon has a lot changed 3 days ago, going almost over head now, no longer along a middle elevation horizon. accomanied by this there is a heavy twisting of illumination and shadowing to observe, starting with a strong left twist after moon rise and ending with heavy right twist at setting. 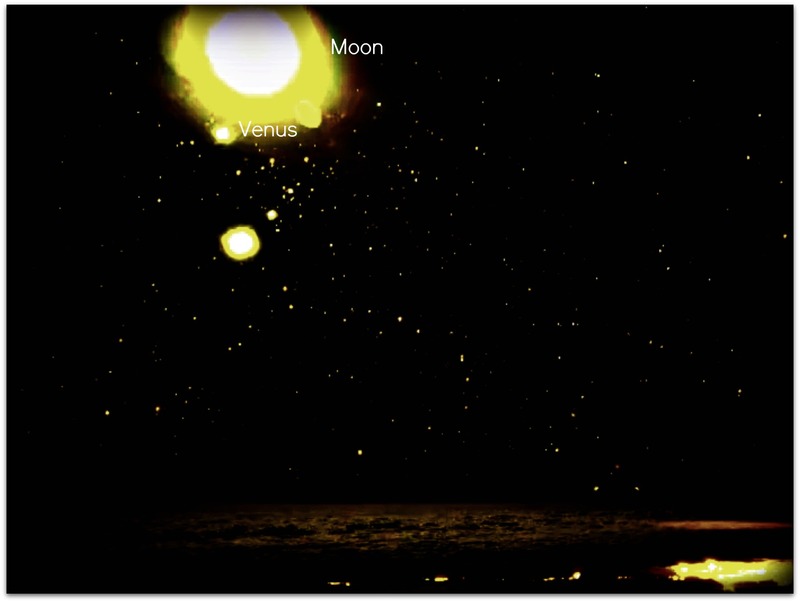 results 14.08.2012 – strange phenomenons this morning …. later right after sunrise over central europe this sky around 08.00 MET …. by about 15 degree to the right. look also at the wavie clouds in the sky (quake clouds). about half an hour later everything vanished again, wavie clouds only faar back at the horizon visible. An in-your-face proof of the earth wobble! Thanks. Thanks, Animatio. The clouds make the pictures indistinct. By the way, am no longer with the poleshift ning. Ironic how they call themselves service-to-others, when clearly it’s the opposite. yes the clouds making interpretation difficult these days. well …. humans, ya know, with all their shortcomings. not to bother about. these are taken from the northern hemisphere and in se consistent. pics per timepoint to be able to indentify anything if possible at all. Thanks, A. The clouds are a distraction! finally a sky without clouds …. Wow, thanks! Beautiful pics! The grouping at 12:30 is very defined! Wow, very impressive,Animatio. Beautiful yet scary! Thanks. Thanks, Animatio. I also saw Alberto’s latest photos. WOW! No wonder, my dizziness is getting worse! well, this is what i shot a day before during plain sunlight. at first i thought oh no, plenty of lens artefacts. but now after alberto’s takes …. Geez, that red thingy is full of foreboding! Thanks, A.
Geez, i see a black orb. Thanks, Animatio. btw last night someting strange happened around 20.00 CET. i caming home, seeing a big moon in the sky, that changed right then its angle of the shadow from straight to about 5 degrees backwards almost in an instant. half an hr later this moon was set back almost 10 degrees on its path, the advancing quickly within minutes again ….. Thanks, have you seen the pics from Malaysia? 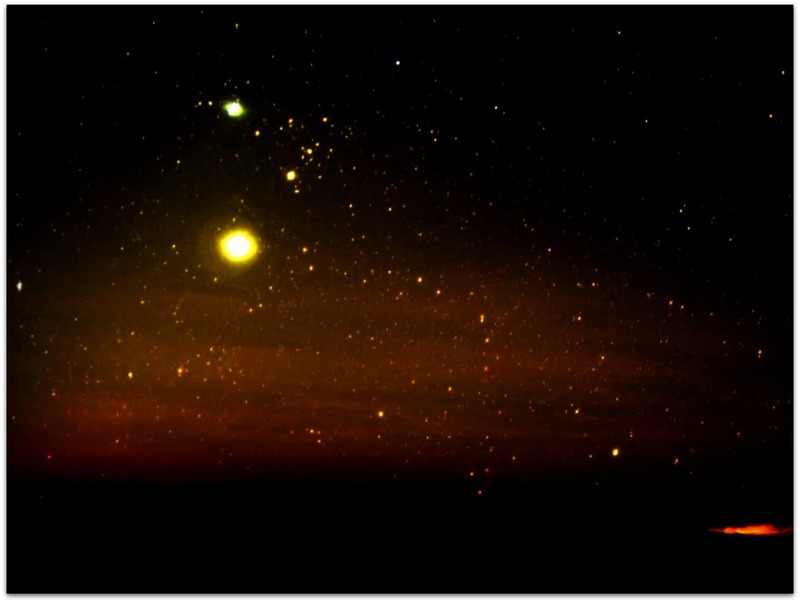 As in, people now see it (the Nibirus system), with their naked eyes. yes, but i have some doubts as rge position . despite nancy’s recent comments does not fit the position i see “it”. i think this was a debris/dust ckoud focussed by a sort of lens formed by ice cristals high up. therfore this strong halo too. btw inthe latest clouds pic published on the ning i personall hava a dofferent interpretation (which would be in consense with what i see) X is there hidden in the clouds beside the sun, but in a different position than nancy is claiming. Thanks, A. Not definitive for me, because of the clouds. Wow. As always, thanks, Animatio. I seldom comment, but i did some searching and wound up here As Above, So Below (3) � Development templates for Guinarona. And I actually do have a couple of questions for you if it’s allright. Is it simply me or does it look like some of these responses come across like left by brain dead visitors? 😛 And, if you are writing at additional sites, I would like to follow everything new you have to post. Would you make a list of all of your social sites like your twitter feed, Facebook page or linkedin profile? Greetings from Carolina! I’m bored at work so I decided to browse your website on my iphone during lunch break. I love the info you present here and can’t wait to take a look when I get home. I’m surprised at how fast your blog loaded on my phone .. I’m not even using WIFI, just 3G .. Anyhow, wonderful site! It’s an amazing post in support of all the internet people; they will get advantage from it I am sure. Greetings! This is my first comment here so I just wanted to give a quick shout out and say I genuinely enjoy reading through your blog posts. Can you recommend any other blogs/websites/forums that cover the same subjects? Appreciate it! I’ve been surfing on-line greater than three hours lately, but I never discovered any attention-grabbing article like yours. It’s beautiful worth sufficient for me. Personally, if all web owners and bloggers made excellent content material as you did, the internet will likely be a lot more helpful than ever before. What’s up everyone, it’s my first visit at this website, and article is genuinely fruitful in favor of me, keep up posting these articles or reviews.